Americans are known for their ingenuity and when it comes to fishing we’re no different. Animal Planet’s host of the new series “Off The Hook Extreme Catches” traveled across the USA and dared to seek out the most ingenious ways Americans are putting fish on the hook! From kayaking for bass down treacherous rapids to fishing from a jet-ski he has uncovered some really productive ways to fish. This season of “Off The Hook Extreme Catches” comes to and end tonight with the seasons finale that’s sure to get us Carp guys excited! Tonight’s episode reminds me of some old movie called “Apocalypse Now” this episode is rightly called “Carpocalypse Now”! Why, host Eric Young goes after the invasive species known as the Asian Carp, and when I say invasive I mean these fish have invaded out waters and have become a nuisance to fishermen everywhere. There’s not too many redeeming qualities about these carp except they make good fertilizer, and if you’re starving you’d have no problem catching one. In this episode Eric meets up with a bunch of Carp Fishermen named The Peoria Carp Hunters and has some down-home fun with these critters! Talk about shooting fish in a barrel watch em water ski down the Illinois River with implements of destruction in hand, as these invasive Carp meet their makers on the end of a spear or tennis racket! 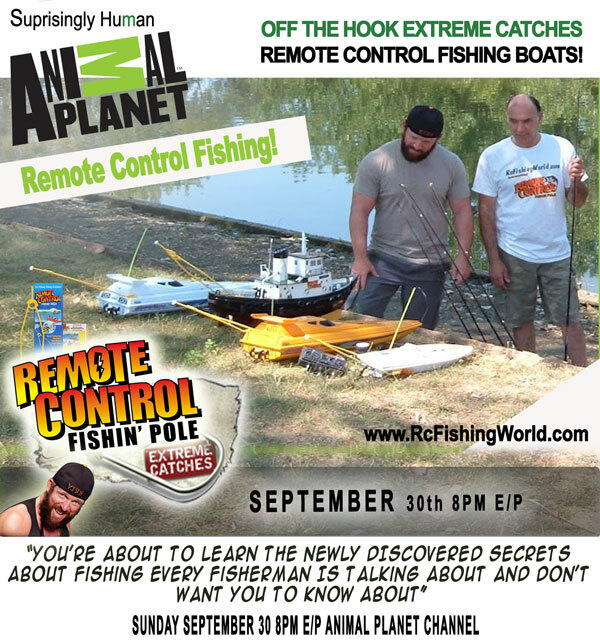 As an added bonus to the finale episode of “Off The Hook” watch as we put remote control boats to the task of catching some fish too! Some Characteristics Of Carp Fishing Versus Bass Fishing! There are some specific differences between Carp fishing versus Bass fishing. Ultimately an in an attempt at unbiased journalism, it is fair to say many fisherman discover a preference within themselves, based on a number of professional and personal standards. In the end however, the choice between fishing preferences illustrates a true fisherman’s passion for sentiment amongst the fishing craft. Deciding a preference on Carp versus Bass fishing delegates an introspective glance into not just the sport of fishing but the type of person a fisherman is entirely. This is because the decision splits hairs over the differences between trophy fishing and fishing for a quality meal. First and foremost, it is necessary for you to know the aging difference of both types of fish. In Carp fishing, the young Carp are less sensitive to the environmental conditions. They do not easily die in case there are somehow ultra extreme weather conditions that may occur in certain places. The young Carp can easily swim their way through the advanced stages of prolonged harsh environments but are not usually particularly well liked for a meal. On the other hand, Bass are slightly more sensitive to the cold, or frigid temperatures, when compared to Carp. When there are some changes in the environment, Bass fish experience stress making them more difficult to fish in more tumultuous areas. Many fisherman also will come under the impression that because Carp survive in more areas and for longer periods ,(and in greater numbers) that Carp fishing is easier. Specifically, carp fishing can be easily attracted by enthusiasts who simply want a mantle piece for their home or office. Many fisherman also easily catch Carp, since during their seasonal reproduction Carp proliferate in a “bunched” matter, often splashing the surface of the water giving away their position. There is no need to do a lot of trapping techniques in order to get the first and the succeeding catches you want, it’s even easier than that. On the other hand, bass fishing is a little more meticulous and challenging. 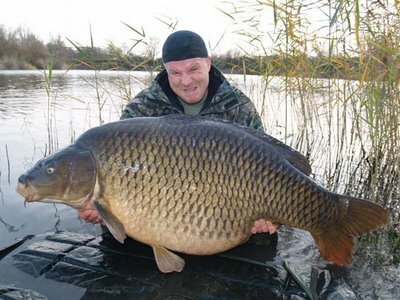 When it comes to size, Carp fishing takes the cake by a large margin, as a commonplace trophy fish. If you want to commercialize your feats on the water, than maybe Carp fishing is your thing. Moreover, you can also bring in huge numbers of Carp since they are so commonly reproducing alongside one another, as mentioned earlier. In the case of your bass fishing, you will found out that these fish come in smaller more elusive sizes, when compared to Carp. The size of Bass depends on the size of the body of water, where large mouth Bass weighing in at huge weights is more rare and displays more expertise of a true fishing enthusiast. This is information you have to keep in mind in terms of Carp fishing versus Bass fishing, where to go and how to fish for these very different aquatic specimens. Carp tend to be bottom feeders, the choice for which is more delicious when prepared is easy, that is Bass. Bass are sportier, but Carp are the more demanding fish to catch, making them an ideal fishing target. Carp will fight the line for as long as a fisherman allows and make a great story to tell every catch. Fishing for Carp is argued by many as more exciting and provoking, nevertheless whichever your fish of choice, have fun fishing! Everyone has that special fish. The story they tell at Thanksgiving dinner, “that one time,” that lives in family infamy. A proud man keeps an ornament, cleanly propped above the fireplace. More humble fisherman might never tell the story at all, smirking to god over their good fortune. Regardless of the path a fisherman chooses, catching the right Carp will quench the thirst of any outdoors adventurer (as long as they aren’t hungry). 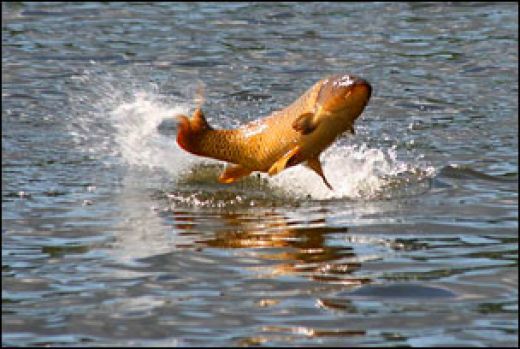 Carp are some of the most magnificent species under the water, frequently willing to fight a lure right off the pole. The Carp pictured above, a whopping monster Carp, was brought down some years ago in frigid northern waters. Monster Carp like this survive all over the United States, as well as Canada. Adventurers looking to grab a similar monster Carp, often need not look further than their local stream. Carp grow “into” their environment, often allowing “monster carp,” like the one above, to grow throughout the entirety of their lifespan, find a deep stream and a monster Carp may live there. Known predominantly as a bottom feeder, often mislabeled and frequently released, Carp fishing is about the adrenaline rush of bagging not just any fish, but thee “monster Carp.” Tales spawn from all over the world of particular individual monster Carp reaching 200-300-400 pounds. Even ancient artwork, from North American Indians long since evacuated, suggests monster Carp have been a favorite grab for sport fisherman, dating back centuries. It is human nature, a fisherman’s most natural and innate desire, to bag a BIG fish. Not just a Big fish, a monster, a giant, a Goliath, from here to here and over there. A “that one timer.” Monster Carp provide specifically that desire, an opportunity to quench that natural thirst for fishing sports greatest achievement. North American Carp like this are some of my favorite fish personally, so I am biased to the craft I must admit. I love to cast my line, medium action, and get to work. Monster Carp fishing is awesome, ideally with a medium action line, designed to bend about 2/3’s down the rod and providing great safety. I give up some distance on my cast, sometimes I even RC Fish, I prefer streams, where I can see the monster. Reeling in a 100 pound fish provides that moment of satisfaction. Don’t hesitate, don’t worry about slender details, find a local stream and go to work! Underwater video of carp and a tipped boilie. See more underwater carp video’s at my website www.underwatersecrets.co.uk Please add your comments, I love feedback and new ideas to video. The carp appears to pick out the tipped boilie time after time before being caught. 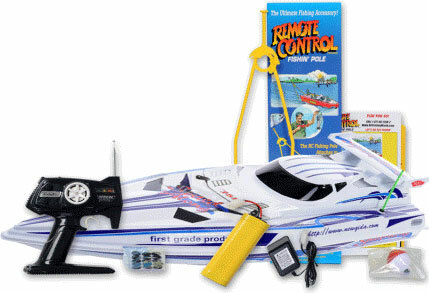 In fishing there’s so many new things out there for the sake of conversation we’re going to call this one a “Gizmo”. Now although these have been around a while it’s always refreshing to stay up to date with good products. Anyone not familiar with method feeders wouldn’t have a clue what method feeders are. Here’s an introduction to method feeder’s for carp fishing, watch the video’s too, if you’ve never heard of it or never tried it you are going to want to go out a get one today! Developed to allow perfect loading of groundbait onto the Preston In-line Flat Method Feeder, the Quick Release Method Mould quickly forms a perfect feeder full of groundbait or pellets every time. This ensures more accurate casting due to the constant size of the loaded feeder. The release button on the bottom ensures that the feeder is ejected consistently, without the frustration of leaving the groundbait in the mould. Designed to be used in conjunction with the Preston In-line Flat Method Feeder.